A report published in Washington Post confirmed that E-Trade, a U.S. based financial corporation which provides financial services, informed its 31,000 customers that hackers might have accessed their email and other addresses during a cyber-attack in late 2013. However, the company claimed via email that the hackers did not get any sensitive customer account information, including passwords, Social Security numbers, or financial information. As per the email sent by the company, it got to know about the attack when officials of federal law enforcement alerted to the evidence that customer contact information may have been breached. The company has announced that it will provide one year of free identity protection services, which includes credit monitoring to those whose information had been compromised. According to the news report, a person familiar with the investigation who spoke on the condition of anonymity informed that soon after the attack, it launched an internal investigation while it worked with law enforcement. However, during that time the company did not believe customer information had been compromised, the person added. "Security is a top priority, and we focus significant time and energy to help keep E-Trade customer data and information safe and secure," a company spokesperson said in a statement. 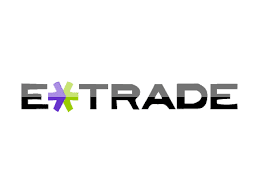 "We take these matters extremely seriously, and in all instances we continuously assess and improve upon E-Trade’s capabilities. We have also contacted any customers we believe may have been impacted."